Believe it or not, Microsoft has a cult following and a lot of users still swear by the Microsoft Launcher. The company has also been pretty consistent with the updates, adding new features. 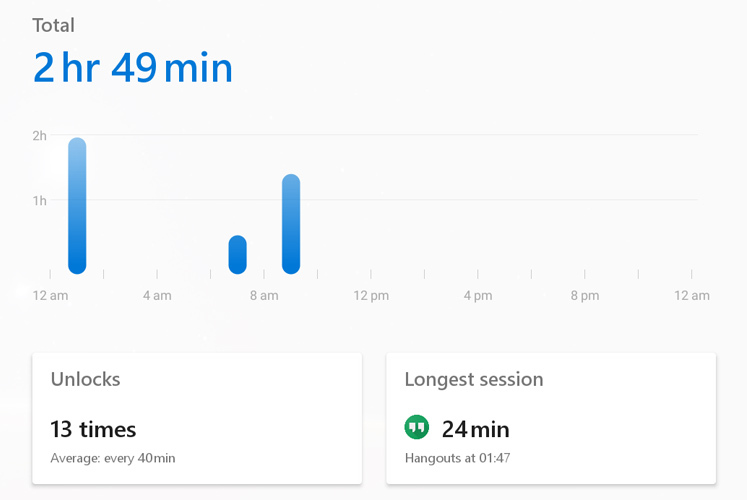 Now, Microsoft has also added a new features to the beta version of the launcher to help you keep a track of your smartphone usage, similar to Android Pie’s Digital Wellbeing feature. I am a Microsoft Launcher user myself, so I was pretty pumped to see what the company had cooked for its users. Now, I am a beta user, so the feature was waiting for me to be used. If you’ve not joined the beta, then you can do so by clicking here. After joining the beta, you should see an update with the new feature. You should be able to see a Screen Time feature as a card in the At-a-Glance section of the hub. You can simply tap on the card to expand it and get a detailed look at your stats. Unlike Android Pie’s Digital Wellbeing feature that shows a ring, the Microsoft Launcher presents a simple graph with the total usage. You can either check your stats for ‘Today’ or see a collective stat for past week. You can also Pin this particular card to show up as widget on your homescreen. I must say, though, the features offered by Microsoft are pretty basic. It’ll show you the number of times you’ve unlocked your phone, the longest session. Below that, you’ll also see ‘Most Used’ app and ‘Most Opened’ app. I am a heavy hitter when it comes to chats, so WhatsApp is on the top. You’ll see a different app depending on your usage. As I mentioned earlier, you can also swipe to see the stats from the last seven days. This, in my opinion, will help you get a better understanding about your usage. Honestly, I really like what Microsoft has done here. If you’ve been dying to keep your smartphone usage in check, and you don’t necessarily have access to the Digital Wellbeing features, then this is a great way to control your usage. 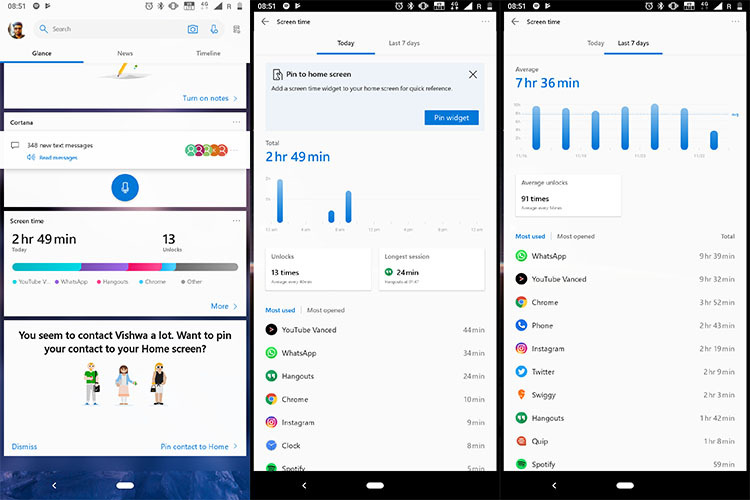 Yes, Microsoft Launcher’s Screen time feature has skipped a lot of handy features like reminder and usage restrictions. However, in its current state, the feature is more than enough to help you cut down the usage.